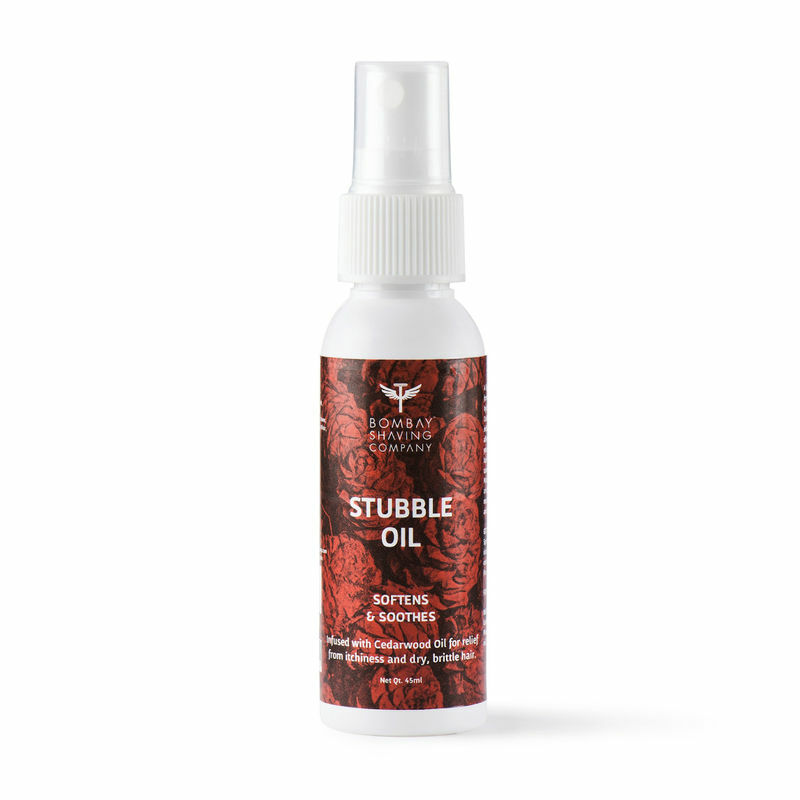 Bombay Shaving Company Cedarwood Infused Stubble Oil is light, non-greasy and the ideal daily companion for your light beard/stubble. It keeps your beard and skin soft, relieves itchiness and helps repair brittle and frizzy hair. Contains Coconut Oil, Pumpkin seed oil, Macadamia nut Oil, Cedarwood oil and Argan Oil. Key Ingredients: Coconut Oil, Grape seed oil, Ylang Ylang Oil, Moringa seed oil and Thyme Oil.